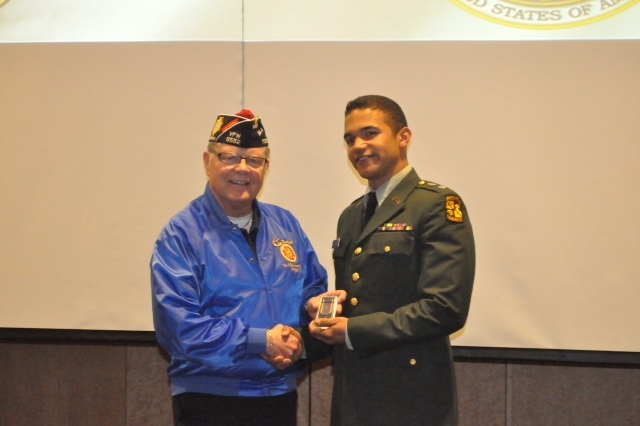 On 5/24 Commander Ray Fairbanks presented Steven Cazales with the VFW award. On Friday 6/8 Steven, a senior, will be receiving his commission as a 2nd LT in the U.S. Army as a military intelligence officer. Congratulations go to him on his success and we at the Post hope he has a bright future in the U.S. Army.